In my opinion, the export routine in SF (Solar Fire) is badly designed and difficult to use. 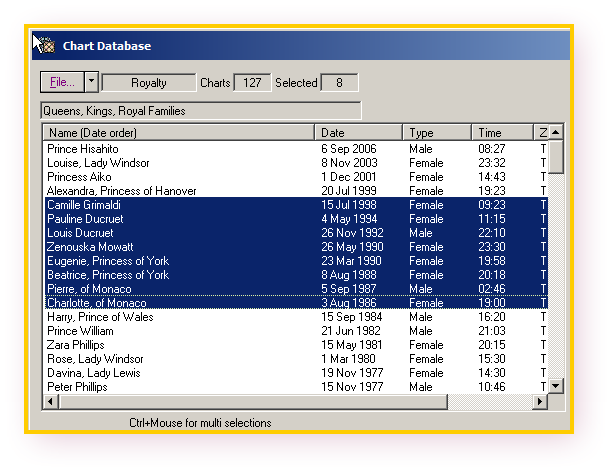 Having said that once configured it is then quite easy to export your charts. 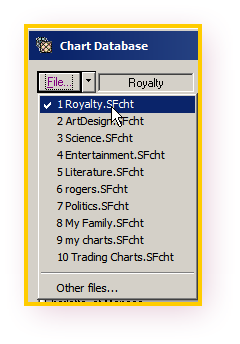 In this example, I will be selecting the SF Royalty folder and once there selecting a number of SF charts for export. 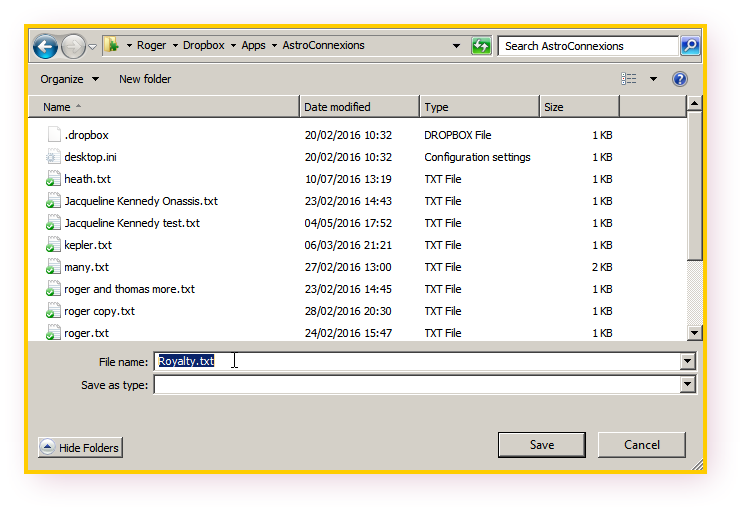 Note that the Rodden Rating cannot be selected. Step one. 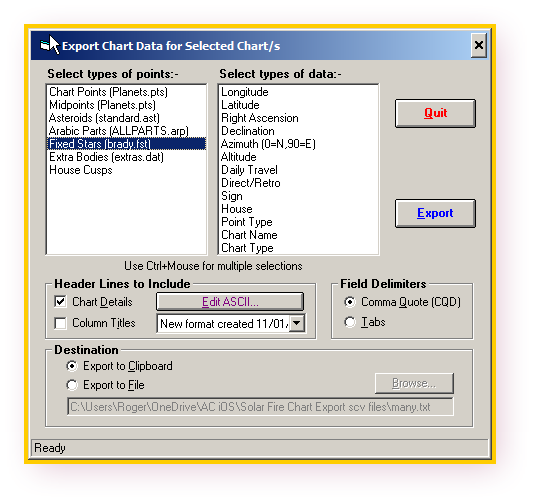 Get the charts you want to export. Step 1 is the most important. 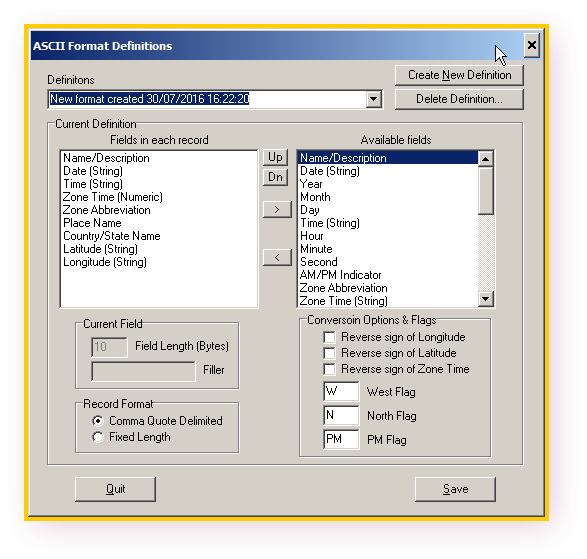 Ensure that the Fields in each record have exactly the fields as listed. Note that the Zone Time is numeric. 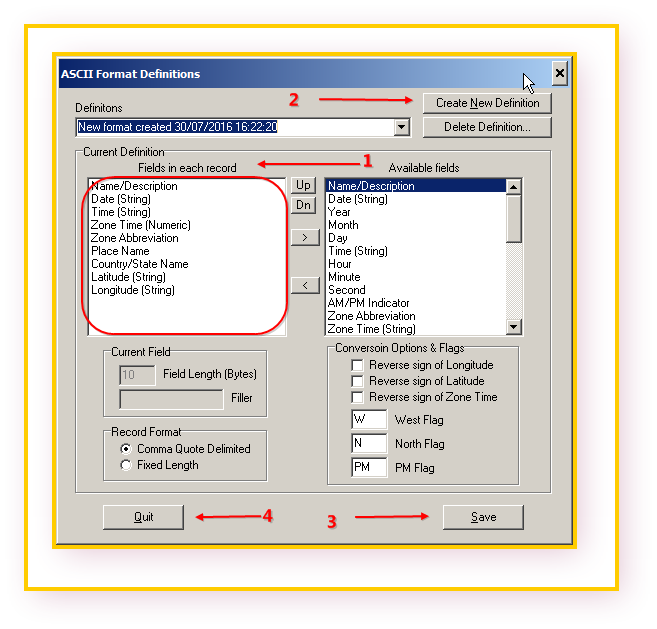 All other fields are string (text) fields. Step eight. Getting ready for Exporting. 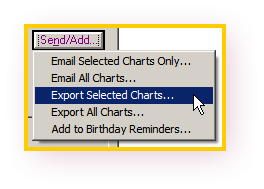 Ensure Chart Points is NOT selected. 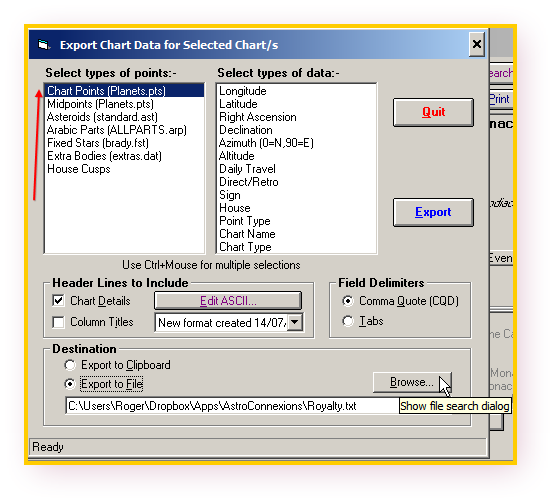 Ensure that none of the Select types of points are selected. This is where it can get a bit difficult. SF expects an empty named file to export to, so a named charts should be entered here. And then saved – see next step. If you don’t get this correct SF will freeze here and probably crash, and you’ll have to start again! You can see the exported records by clicking the Export to Clipboard. And pasting into Notepad.